All updates and additional information on characters and issues in my books can be found on ArchivesofVarok.com. Brown titles are live. Click to view content. Reviews of my books (The Archives of Varok) are below, but don't miss the pages headlined above and the links (on the left column) to my Must-read Book Reviews on Goodreads, my Blogs on Exobiology for astronaut.com, and my Animal ID Blogs for The Los Alamos Daily Post. Complexity studies and more writings are listed on the left column. A series of five books set in a realistic mid-to-late 21st century, in which Earth discovers sympathetic neighbors who reflect our need to level the playing field and build a long-term equitable future. Insightful and brilliant summary of a young woman's quest for meaning in a time of disillusionment. Critique: The fourth novel in Cary Neeper's outstanding 'Archives of Varok' series, "An Alien's Quest" nicely completes the story of Shawne and her mixed-species family as they search for answers in Ellason's wild seas. Exceptional, original, deftly crafted, and a consistently entertaining read from cover to cover, it should be noted for the personal reading lists of dedicated science fiction fans that "An Alien's Quest" is also available in both a paperback edition (9781622220229, $14.95) and a Kindle format ($4.99). A new five-star review on Goodreads. Available in several editions. An Alien's Quest--4th book in the AOV series--a young woman seeks hope and Meaning in the face of disillusionment. Book 1- THE VIEW BEYOND EARTH—How would dispassionate Others view us? Book 2-THE WEBS OF VAROK—What must we do to insure a satisfactory future? 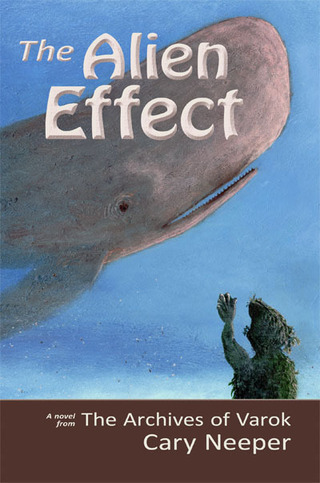 Book 3-THE ALIEN EFFECT—Are we headed for extinction or can we evolve into something better? Book 4-AN ALIEN'S QUEST—How can we find Meaning, when our lives are driven by unpredictable complexity? Book 5-THE UNHEARD SONG (coming in 2017)—Inescapable certainties: to secure the future all populations must communicate and hold to steady numbers. AN ALIEN'S QUEST crosses an alternate 21st century Sol system in search of answers in the face of humanity’s cruel tribalism and environmental destructiveness, it can be difficult to keep faith in the meaningful, the important, and the good. Cary Neeper's new novel An Alien’s Quest chronicles the journey of a young human women and her mixed alien family to the dark planet Ellason, seeking answers or comfort from famed great‐fish spiritual leaders there. An Alien’s Quest becomes available from major online book retailers November 21 in hardcover and paperback. Ebook editions for Amazon Kindle and Barnes & Noble Nook will be released in time for the holidays. ONLINE PRESS KIT: Find author photos, cover images and more at Penscript‐Publishing.com/press. What genre fits The Archives of Varok series best? YA? My granddaughter suggested readers 7th grade or older. A recent adult fan thought the books were most appropriate for adults. The covers suggest a younger audience, but that's the problem with my love of genteel fantasy and the way I paint. What do you think? come join the conversation on my Goodreads blog. Book1: The View Beyond Earth—personal growth (Jungian Individuation when confronted by Others), questions of human identity, and concern for Earth as business-as-usual threatens the long-term future. Book 2: (Award-winner) The Webs of Varok portrays how an equitable, steady-state society could work—based on the work of economist Herman Daly—long-term solutions for a full Earth. Book 3:The Alien Effect explores cognitive dissonance, problems in facing reality, and the role of complexity in long-term consequences. Book 4: An Alien's Quest Finding hope after disillusionment--A young adult woman in despair searches for life's meaning and direction, in spite of 21st century tragedies on Earth and threats to her mixed family. Five star review for The Webs of Varok--Conn's character did the trick from "Good to Great Book"!! Having read Cary Neeper's second book, The Webs of Vorak prior to the first, it allowed me to first see the more mature creation before the beginning. Tolkien, in his essay "On Fairy Stories" talks about the creation of mankind, the constant need for making something, in emulation of God. Imagine taking a ball of play-doh, and, realizing that you could make anything you wanted, you set out to create a world. This, as Tolkien calls it, is Faerie. In The Neverending Story, it is Fantasia, and in the PS3 game LittleBigPlanet, it is the Orb of Dreams. But whatever the name, it is the molding by which we create our dreams, our novels, our gods (if you look at many of the myths from Greece, Rome, and elsewhere). So Cary Neeper took the mold of her world and created Ellason and Vorak, and on them, she placed the diametrically opposite Vorakians and Ellls. In 1975, she wrote A Place Beyond Man, which is the account of the first contact between the two alien species and human beings. You can tell that, in the beginning, the mold is forming, becoming the deep and solid world that Neeper wants us to explore. Get there, she does, and it becomes a magnificent lesson in the humility man will have to have of himself to save the world he lives in and to venture forth into the universe, as so many sci-fi writers will want to have us do.
. Conn, the Elll, is the personification of Dionysus, pleasure, enjoyment incarnate. Orram, the Varok, is the antithesis, the voice of Reason, Apollo, standing firm with stolid emotions, using reason and logic to perceive the world. (I reject the idea of other reviewers that Orram is simply a Vulcan rehash, even though there are similarities.) Thus, to follow Hagel's philosophy, Tandra, the human, is the Synthesis, the balance of emotion and reason. But this is only one way to look at it. Another perception to each of the characters lies in the "widening gyre" of William Butler Yates. Control of Orram's emotional states is only possible when the spiral is tight, compacted, governed by cultural and physical boundaries that are strictly enforced. The same, remarkably, is the case for the Dionysian character Conn, who must stay grounded within the "school" of his amphibious culture. Even Tandra, who must handle the first contact situation with a balance of emotion and reason, must keep herself in control of her faculties. In all cases, the sprial unravels, and they must each help one another to return to the sanity which is inherent in their own species. In the strengths of their own characters, they can survive. In the end, it is Tandra, and us as well, who must see that the first contact situation calls into question everything that we assume about ourselves as human beings, about our position in the universe, about the superior stance we take in the world, and in our own minds. Tandra becomes much as Jodie Foster's character was in the movie based on Carl Sagan's Contact. There are few humans, as was seen in the movie, and as was rightly guessed by the Ell-Varokian team, that would have successfully reacted and adapted to finding other sentient species in the world, especially ones without the bi-pedal look of current Earth sentient beings (supposedly). The original 1975 book, published by Dell (now Random House), is out of print, but was reprinted in 2011 by iUniverse. Neeper is working on a revised edition of this book, which is scheduled for release in a couple of years. I do recommend reading this book (before or after The Webs of Varok) instead of waiting, as it was a thoroughly enjoyable read, thought provoking, and great addition to the Science-Fiction cannon. I only hope that more of the classic sci-fi books can be rescued from the shelves of obscurity and reissued to a public that needs to be reminded of just how amazing mankind is, what his potential is, and how fragile our world is, how dangerous it will be if the "centre cannot hold." I do recommend reading this book (before or after The Webs of Varok) instead of waiting, as it was a thoroughly enjoyable read, thought provoking, and great addition to the Science-Fiction cannon. Imagine the selfless and cooperative qualities individuals need to participate in a sustainable society. Thus far, earth-bound experiments in utopian communities have ultimately faltered. Here, Cary Neeper challenges the reader to contemplate the nature and eons of evolution that would enable a culture to base their lives allocating resources among all of their beings sustainably. Set in another planetary sphere with engaging friendships, relations, and commitments, the occupants in The Webs of Varok face an imaginative but challenging environment. Even for a newbie to science fiction, it was easy to accept the quantum leap to time travel and life in a highly different chemical and physical landscape. The characters, too, are appealing. With the author, one examines the fragility of personal strengths and potential weaknesses that may thwart this utopian web of relationships. i Actually won this book through good reads, as the reason why i have read this book. It wouldn't be my type of book to pick up on a book shelf but it was utterly interesting. There are two alien species in the novel that make contact with humans. The amphibious ells and the humanoid varoks have been studying the Earth for a very long time, and each has debated when and where contact with a human should occur, and under what cirucmstances, if any. We’re introduced right from the beginning to the very personable main ell of the novel, Conn (from the dark watery planet Ellason), though we also read a mention of the Varoks, who live closer to the Earth. The Earth has limited resources, and how the dwindling supplies are used will determine mankind’s fate! It’s more than a little ironic that we are all using the wonders of technology and have become dependent on them. It’s one thing to know that sustainability and steady state economics are necessary for humanity to survive, but it’s another to put those ideas into daily practice. "Who knew sustainable economics could be so much fun? Served up with large helpings of adventure and novel romance, the post-growth society of Neeper’s complex but completely imagined world on a hidden moon of Jupiter is the setting for a page-turning struggle between the eternal themes of personal accumulation vs. the common good. "The evil Mahntik schemes to grow and dominate Varok’s economy, mindlessly replicating the mistakes of earthlings, from energy-intensive globalized trade to water pollution from the overuse of nitrate fertilizer. Fighting back is the inter-species family of varoks, humans and ellls recently returned from a station on Earth’s moon where they were unable to help prevent the disintegration of the unsustainable human economy of 2050 CE. The human example reinforces the lessons that varokian society learned millenia ago after the collapse of the equally unsustainable economy of their own forebears. Orram, the varok head of the mixed family, accepts the position of Governor of Living Resources and struggles to repair and reinforce the steady-state economic system that has allowed varokian society to evolve and thrive in the wake of that long-ago disaster." Kathy Campbell co-taught a sustainability course with Neeper in New Mexico in the early 2000s. 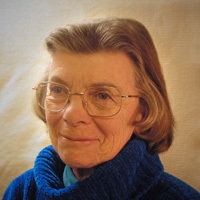 She currently lives in central Massachusetts, where she is heartened to observe the emerging network of relocalization and sustainability efforts, from a system of cooperatives in Springfield to a transition town in Greenfield, and from Coop Power, solar building and alternative financing to the preservation of farmland, forests and wetlands in the broad Pioneer Valley. "Cary Neeper deftly weaves the various points of view she writes about into a page-turning novel that will keep you interested and wanting to read more from the start to the finish. With her in-depth descriptions of the moon, she displays incredible world-building skills and makes Varok seem like it could be a real place with a myriad of life forms. The Webs of Varok is a spellbinding read and a great addition to Neeper’s series, The Archives of Varok. . . ."
Link to The Webs of Varok on AskDavid.com. It got a great review from Douglas Cobb, including an overview of the series. Read the full review on Book Spot Central. and more reviews on Amazon.com, ArchivesofVarok.com and AskDavid. The version of A Place Beyond Man reviewed here is an Author's Guild Backinprint.com Edition that came out in June 2011, the original having long since gone out of print. And what a worthy revival it is, in both its continued timeliness and its intelligent, believable rendering of alien values and cultures. Its sequel, The Webs of Varok, was a long time in coming, but it's finally here waiting to be discovered by a new generation. And I’m happy to report that the 38-year lapse between offerings has not dimmed Neeper’s storytelling ability nor dampened her ambition: the new novel is every bit as well made, poignant and entertaining as its predecessor. Three more Archives of Varok novels are in the works and are set to be released between now and the end of 2014. I look forward to seeing what additional insights their alien worlds have to contribute to the growing debate about our species’ predicament. Book three of The Archives of Varok, The Webs of Varok was a ForeWord 2012 book of the year Finalist in Adult Science Fiction and A 2013 Nautilus Book Awards' Silver Medalist for YA.